What some don’t seam to realize is that Christianity does not exist without it. We can’t preach the gospel to the world without doctrine. People cannot be saved, follow Jesus & grow spiritually without the teachings/doctrine of Jesus Christ. 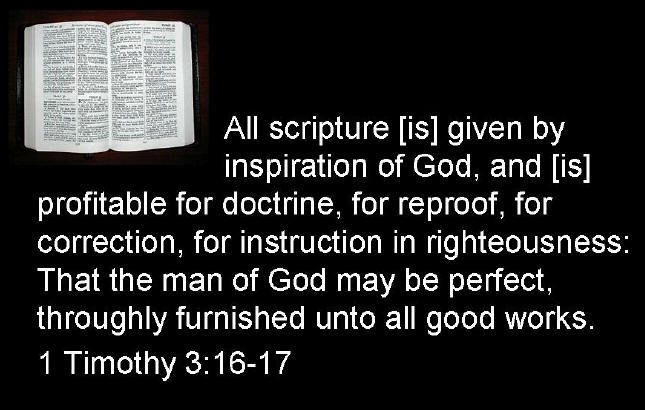 Sound doctrine is very important to God, in His Word He directs us to teach it, & hold fast unto it. Paul tells Titus to “teach what accords with sound doctrine” (Titus 2:1). Titus’s teaching had to correspond with God’s Word. God entrusted us with His message, His doctrine, we are just the couriers of the message, not its editors, we dare not contaminate or change His message. Sound doctrine is also important because what we believe has an impact on what we do. There is a direct correlation between belief and behavior. Sound doctrine leads to life. “Take heed unto thyself, and unto the doctrine; continue in them: for in doing this thou shalt both save thyself, and them that hear thee.” (1 Timothy 4:16). The apostle Paul mentioned a great apostasy before the coming of Christ. Let no man deceive you by any means: for that day shall not come, except there come a falling away first, and that man of sin be revealed, the son of perdition, (2 Thess. 2:3). Apostasy means to fall away from the truth. Therefore, an apostate is someone who has once believed and then falls away or rejects the truth of God. Surprisingly many Christians are looking for the arrival of the Antichrist, but not many are paying attention to “the apostasy” that the bible says must come first. The arrival of the Antichrist cannot occur until sufficient apostasy has happened in the church. The Antichrist cannot work freely where the truth of God’s Word is taught or where enough Christians with sound doctrine are able to expose him. Jesus opposed false teachers. Most of the epistles include some sort of warning against false teachers and were sometimes written for the purpose of exhorting us to guard right (sound) doctrine. Even if the epistle does not include the words “false teacher” or “doctrine,” it is clear that many of the epistle writers were counteracting false teachers and their teaching. Preaching another gospel (“which is no gospel at all”) has terrible consequences on that person, see Galatians 1:6-9. Jude wrote of false teachers whose condemnation was sealed. What was their crime? Teaching unsound doctrine, more specifically, they were changing “the grace of our God into a license for immorality” (Jude 1 ). (1). The early church had sound doctrine & guarded it earnestly, & there was unity among them. (Acts 4:32). We know that sound doctrine unites, but experience or men doctrine (unsound doctrine) divides! The unity some groups are trying to accomplish disregarding the doctrine of Christ, is in reality a fake unity. 7. Sound doctrine needs to be guarded and contended for against false teaching. (Jude 3-4). 8. Sound doctrine is useful both to exhort and convict those who contradict (Titus 1:9). 11. There is true & revelation from God, in sound doctrine. (Rev.22:6, etc). 12. Also sound doctrine is a powerful weapon against the enemy. (Matthew 4:4, 7 & 10). No wonder satan is working hard against it. The following Bible verse has been misused by some Christian congregations to mark & shun people for various reason, but in reality this was written to protect the body of Christ from contamination of false doctrines, or false teachers. (1), (2), (3). Notice they make speeches & serve their own bellies, meaning they have some type of material gain from their speeches. The division is caused by the teacher who brings the false doctrine, not by the discerning person that is trying to defend the faith or by the churchgoers that are there to learn. So we do good by considering them which are teaching things contrary to the Word of God, and avoid false teachers and their doctrines, their book, videos, etc. Teachers are going to be judged more severely (James 3:1) because they can influence thousands of people, or these days, we can say even millions. There is a counterfeit church that is being united by the ecumenical movement, & is growing rapidly. Many without knowing, take their experiential views above the Scriptures, they call some manifestations ‘signs and wonders’ and say come from the Holy Spirit. Manifestations of gold dust, feathers, gems, diamonds, oil, stigmata, etc. But there is no mention in the Word of God about any of these manifestations, nor of the superiority of our sensations, experiences or even the whisper we think is God talking to our hearts, over the authority of the Scriptures. All sensations, all insights, all “whispers in the heart” should be checked against Scripture. There is a reason why God besides sending us His Spirit, also left us His Word. Any body can say they hear from the Holy Spirit or that a manifestation is from Him, etc. How can we know for sure? By reading the Bible. We can’t embrace the so called ‘Movements of the Holy Spirit’, but reject/disregard the Words that the same Holy Spirit inspired, (The Bible). 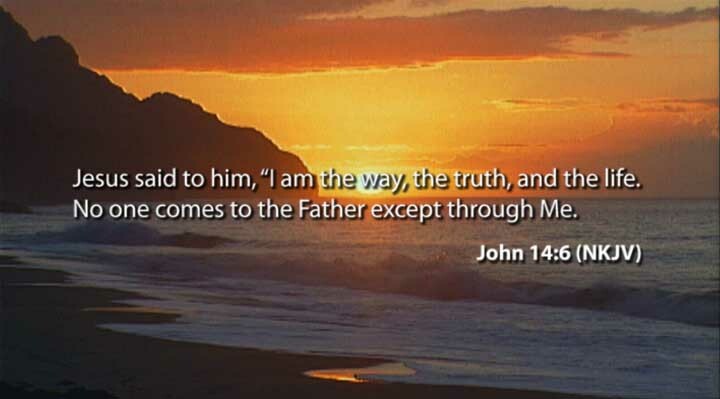 He is the Spirit of Truth (John 16:13) & He is not going to contradict Himself. If it isn’t in the Scriptures, then we don’t need it. I have heard for many years leaders of these movements, teaching that the moves of the Holy Spirit are more important than doctrine or the Word of God, giving that reason as an excuse for people not to check on weird manifestations & their wrong doctrines. They say: “For the letter kills, but the Spirit gives life”. teaching that the word ‘letter’ here, means the Scriptures. But this is false!! They are taking out of context & twisting bible verses. 2 Corinthians 3:6 doesn’t mean to put aside Scriptures and rely on sensations or feelings. That contradicts the Bible! The verse in context is talking about the letters written on tablets of stone, the law that condemns us of sin (which waves is death, Rom. 6:23), the law could not saved us only gives us a death sentence, that is the reason we needed a Saviour, Jesus. But now we are ministers of a new covenant, not of the letter (the law – Old Covenant) but of the Spirit (New Covenant). 2 Corinthians 3:6 got nothing to do with putting Scriptures or doctrine aside. Also some may tell you ‘ much bible reading makes you crazy’ but that’s the voice of the enemy (Acts 26:24) working hard to keep us away from the truth of God. Acts 2:42, 2 John 1:9-11, 1 Cor. 15, Jude 1:3, Ephesians 4:14-16, 1 Tim. 4:1-2, 1 Tim 1:9-10; 6:3; 2 Tim.1:13; Titus 1:9; 2:1; 1 Timothy 6:3-5; 1 Tim 4:6; 1 Cor.11:1-2; Galatians 1:6-10, Romans 16:17, 2 Tim.4:3-4, 2 John 1:9, 2 Thess.3:6, 2 Cor. 6,; Col.2:8, etc. See more here. We find those who stand in the truth by their resistance to the false. They test what is said, and it becomes evident who agrees with the word. This gives approval to those who correct in doctrine and helps us identify whom we are to separate from that are wrong in doctrine (Romans 16:17). . . .
More often people depart from the truth because they did not have sound doctrine as their basis, so their living become affected. We preach with our life but not our life only, words need to be spoken.